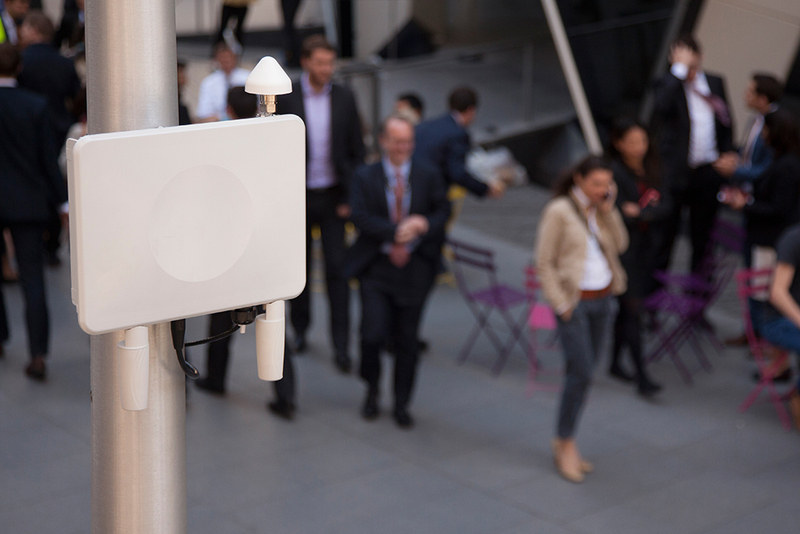 In the fourth of our mini-series of blogs looking at small cell deployment challenges, we show how product design, planning and partnerships make all the difference. "What’s the best way to link up small cell sites to the wider network?" This is one of the major small cell deployment challenges that many operators have identified, and it's a complex issue. The majority of potential small cell sites lacks a conventional and easy backhaul fix. Unless the distance is low, digging up roads and pavements to bring fiber to hundreds, if not thousands, of sites is a non-starter because of the high costs and time involved. Instead, some forward thinking about how to overcome backhaul barriers is a more logical approach. Nokia is tackling the backhaul challenges through a combination of products, planning and partners. Firstly, small cell product design plays an important role in easing operators’ backhaul blues. 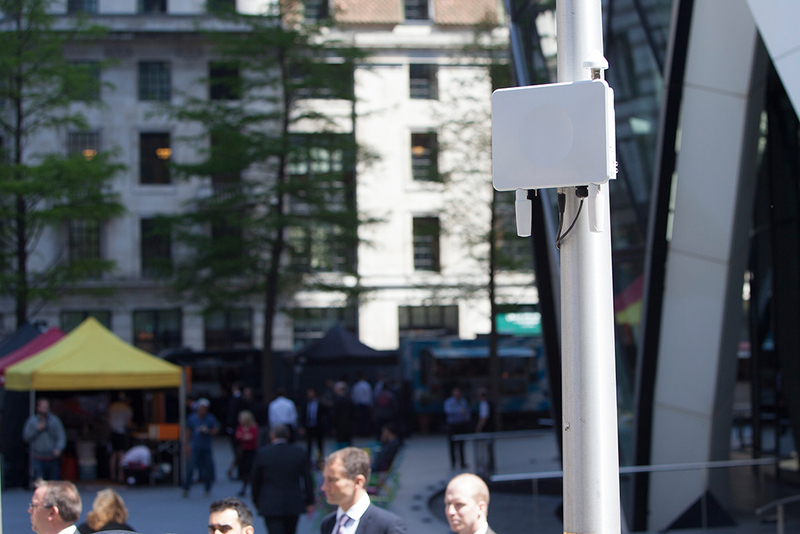 Nokia Flexi Zone small cell base stations have built-in ports, switch and router that enable them to be daisy-chained together, using a building’s shared Ethernet in indoor locations or wireless backhaul to connect nodes in a long avenue for example. Meanwhile, the Flexi Zone Controller features split baseband processing that permits a relaxing of the latency requirements towards the small cells that it supports. So a fiber or gigabit backhaul connection can be run to the controller, while lower quality connections can be used to connect the access points back to the controller. Not only is this a cost-effective solution, but it also allows the access points to be sited in more effective locations – as opposed to being dictated by backhaul constraints. The second approach is planning. There are many bands in use for wireless backhaul. Most urban areas will have some kind of fiber backhaul to buildings. If no fiber is available, there is the option of using microwave. Most prominent here are E-band, V-band microwave links but also traditional microwave bands may be used. A potential problem here is that there may not be line-of-sight to street level, in which case sub 6 GHz connections can be used for licensed and unlicensed bands. All this requires careful planning, achieved through Nokia’s Multi-layer Optimization service that uses 3-D mapping combined with 3D RF propagation modeling. The service shows which type of backhaul will or will not work and can lead to coming up with a viable strategy in one third the time consumed by other methods. Finally, partnerships: Nokia has substantially widened its family of third party solution providers to offer operators the right backhaul product whatever their small cell deployment needs. Together with RADWIN, Nokia offers a field-proven sub 6 GHz PtP / PtMP solution, which employs unique beamforming and interference mitigation capabilities to deliver carrier-class and robust performances in challenging non-line-of-sight environments and combines advanced planning tools and specialized engineering practices for simplified operations. Together with Tarana, Nokia offers an innovative sub 6 solution that exceeds customer expectations for non-line-of-sight wireless transport and delivers deterministic non-line-of-sight performance and full-rate co-channel operation in point-to-multipoint topologies. Unique algorithms for multipath, cancelling interference and autonomous adaptation ensure easy deployment, efficient scaling and reliable transport, even in the most challenging dense urban networks. As an example, Nokia partners offer great flexibility in small cell placement in ever-changing urban environments, where double decker busses constantly pass in front of sites, and bushy trees and street decoration pop up at different times of the year creating interference. Small cell backhaul may be a significant challenge, but with competitive products, perfect planning and best-in-class partners, Nokia has the silver bullet to help operators solve it. In our next blog, to be published on October 19, we’ll be looking at a further piece of the small cell puzzle: how to lower deployment time and cost. Mark your calendar! For a helicopter view, check out our Small Cells infographic and Services for HetNets infographic and visit our Small Cells webpage. And to request our new White Paper “Four key factors affecting indoor small cells planning“, please contact your local Nokia account manager. Please share your thoughts on this topic by replying below – and join the Twitter discussion with @nokianetworks using #NetworksPerform #mobilebroadband #smallcells. As product marketing manager, Amit Gurtu is responsible for Nokia Networks’ mobile broadband product marketing and content development. Prior to joining Nokia, he held several positions at Lucent and IBM. He has a Master of Telecom Management from ICFAI University and a Bachelor degree in Electronics & Communication from Gulbarga University. What if small cells become part of the furniture?